“If Friction is a force that opposes motion then how friction helps in walking?” Very often this question comes from the Physics students. Some asks, “How is friction useful sometimes?“ If we go by the common notion we have about Friction, certainly these questions may arise in young and eager minds who are trying to grasp the fundamentals of physics. Well, now we can say that Friction is a necessary evil. Many times it causes lots of damage, but there are cases where friction comes up as a savior. In this post of ‘Mastering Physics fundamentals’ series, we’ll try to explore multiple steps involved in the walking process and draw Free Body Diagrams (FBD) for each to understand how different force components are playing in the walking process and how and where Friction helps in walking. 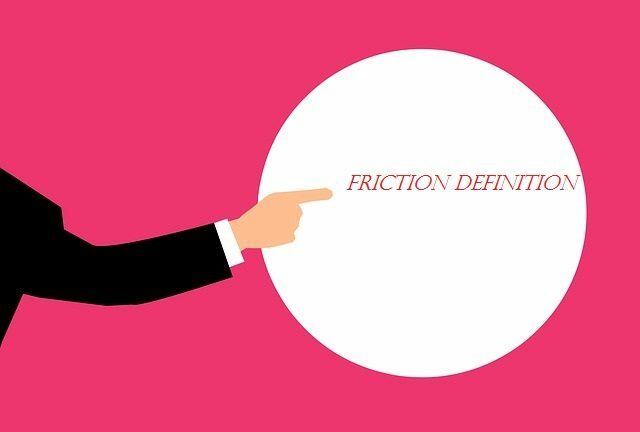 But before that we will have a quick revision on the definition of Friction and different types of it. So lets see how friction is a necessary evil. Friction is a force which acts along the common surface of two objects when one object tends to move or moves actually with respect to the other. The direction of this Friction or Frictional force will be opposite to the direction of the motion. Friction occurs because of the electrical forces between the surfaces where two objects are in contact. Friction may be of different types depending on when and how it evolves and varies. Static friction: Static friction, is the force that tends to prevent a stationary object to start moving. The maximum static friction is called the limiting friction or starting friction. It is the amount of force that must be overcome to start a stationary object moving. Example: attempting to move a heavy cabinet across a floor. object starts moving. Then, moving or kinetic friction replaces static friction. Kinetic friction is the force that acts against an object’s motion in a direction opposite to the direction of motion. If the applied force has the same magnitude as the kinetic friction while moving an object horizontally, then the net force on the object will be zero and the moving object will maintain uniform velocity. Kinetic friction may be of different types depending on the situation like Sliding friction, rolling friction and fluid friction. Our walking consists of a series of different steps among which we have selected two major steps which really takes help of Friction to have a balanced stature and then move forward. From these 2 steps it will be clear how friction helps us in walking or how friction is useful sometime. As we apply a force F on the floor (see fig 1), the ground exerts a equal and opposite force F1 as per Newton’s third law of motion. 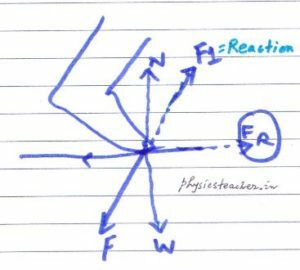 That means, F1 = – F . Here F1 is the reaction force of applied force F.
Now using Vector Resolution of force, lets resolve the applied force F and the reaction force F1 one by one. (a) Applied force F is resolved into 2 components. The perpendicular downward component acts as the Weight W. And the horizontal component acting backwards is the horizontal effective push given by the foot on the floor. (b) Now lets resolve the Reaction force F1 into 2 components. 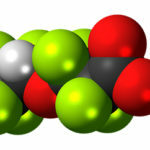 Its perpendicular component (shown as N in the figure) is the Normal reaction. The horizontal component acts as the Friction FR. So you can see very easily that Friction (FR) just acts horizontally in the opposite direction of the effective horizontal push mentioned in the above section. This Friction (FR) supplies the forward push to move ahead while walking. In step 2 the position of the foot is different than step 1. 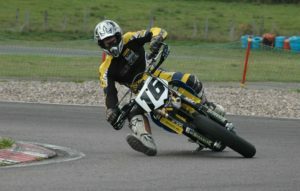 Its more of an effort to balance the position. As we apply a force F on the floor (see fig 2), the ground exerts a equal and opposite force F1. 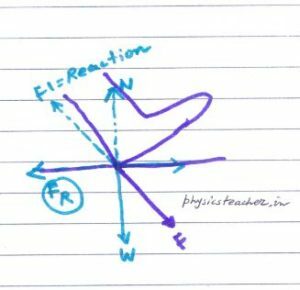 Here also, F1 = – F . Here F1 is the reaction force of applied force F.
Now using Vector Resolution of force, lets resolve the applied force F and the reaction force F1 one by one like we did in step 1. (a) Applied force F is resolved into 2 components. The perpendicular downward component acts as the Weight W. And the horizontal component acting forward is the horizontal effective push given by the foot on the floor. Its perpendicular component (shown as N in the figure) is the Normal reaction. The horizontal component towards the reverse/backward direction here acts as the Friction FR. So you can see here also that Friction (FR) acts horizontally in the opposite direction of the effective horizontal push. But in this case the Friction (FR) supplies the backward balancing push to avoid slipping while walking. See here how friction is useful sometimes. So in step 1 (fig 1)we see friction helping us to provide a forward push to move ahead while walking. And in step 2 (fig 2) its supplying a backward balancing force which helps us to balance and not slip. This simply shows how friction helps us in walking. This also explains that friction is useful sometimes ! 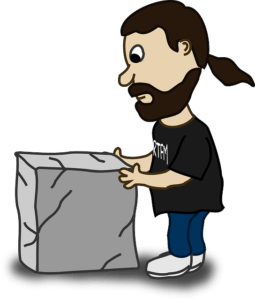 Pushing a car, Newton’s 3rd law and friction…. A small video with a simple question. Now you know the answer for sure. Right? Just Check.